Portable air conditioning: What are its advantages and disadvantages? The decorating with stripes allows infinite visual variety through the combinations of color, or width of the stripes. In decorating with stripes, there is nothing right or wrong, it is a matter of taste, and as they say “for tastes, colors”. This decoration based on stripes on the walls was fashionable in the 60’s and it is a classic in the decoration of baby bedrooms. Now we recover this retro style to update it and adapt it to today’s trends. 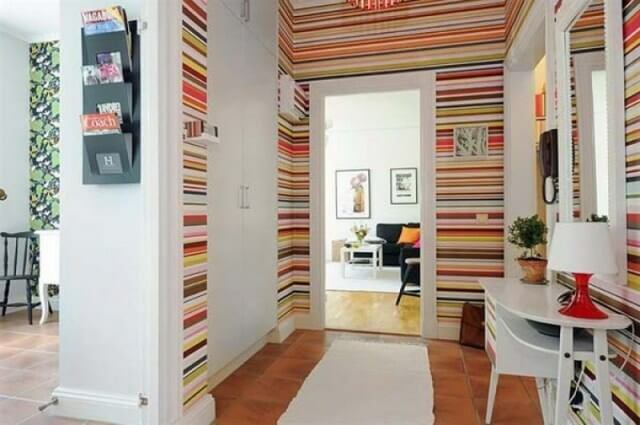 Dare to put striped on your walls in the bedroom, in the living room, in the entrance hall, anywhere. The striped decor reflects a strong personality and boldness. When we think of decorating with stripes, the most interesting point is the versatility that they offer. That is, there is an infinite color combination and the results can be from elegant spaces to very jovial and fun, it depends on the color palette that we use and how we play with the rest of the decorative elements of the room. It should be noted that striped decor can be done in any environment, from bathrooms and bedrooms, living rooms and home offices. Do not limit yourself to home, take the decorating with stripes beyond. Let yourself be inspired! How will the striped look in the decor of any room? It is important to know some characteristics about this element that can vary and adapt to any style of decoration, even becoming a trend by itself. At the beginning it is important to know that the visual bands are what you have in mind. That is, they can be previously purchased as wallpaper or they can be done quietly at home, since the possibilities are endless. Next, three situations in which you can insert stripes. This is a great option for those who still have some fear with the stripes in the decoration and are afraid to invest time and money in painting the wall. 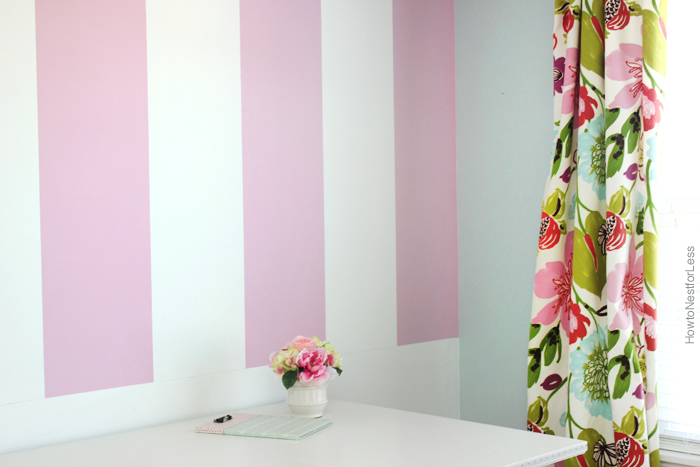 Currently, there are plenty of places to buy striped wallpapers in a thousand ways and colors. Find an online store; find the paper that you like and have the help of professionals to place it perfectly is the most convenient option. The first thing we will do is choose the color combination. They can be of the same range of tone or colors that contrast to obtain a more alive and aggressive result. Determine the thickness of the stripes. This depends on personal preference, but you should also take into account the size of the room, the stripes will be wider if the room is large. We will choose a base color. If you plan to paint the ceiling, do it first. Once the paint is dry, start measuring from one side to the other. It is very unlikely that your last strip measures exactly how much you have given the width of each line, for example 10 cm, so make sure that this strip is on the less noticeable side of the room. If you are only painting one wall so that it stands out from the others, measure the entire wall and center the fringes. Use a level, measure and use adhesive tape to make the stripes. The next step is to measure the fringes between them and stick the tape to the edge of the measurement. Glue the tape very well so that the end adheres to the wall and the paint does not pass. Remember to take into account the measure of the tape, for example, 2 centimeters, if you leave it inside the band will be 8, if you do it on the outside it will be 10 and you will have to discount those two centimeters of the next band. When you have the wall covered with paint guides, it is time to start painting. If necessary use a thin brush to paint at the edge of the tape, although some people prefer to use small rollers. After painting, remove the tape after about 5 minutes. Painting with stripes is an economic and very creative solution to give a different touch to our home. Generally, the same color is used but in different shades. In this way, harmonious and discreet combinations are created that do not diminish the role of furniture and accessories. It is important to bet on soft tones so as not to overload the environment.